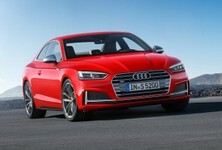 Audi has revealed details of the second-generation A5/S5 Sportback that will be shown at the Paris Motor Show later this month. 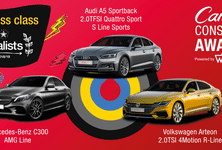 The Audi A5 Sportback and S5 Sportback will be unveiled at the 2016 Paris Motor Show this month and the Ingolstadt-based firm has provided some details regarding its new 5-door coupe models. 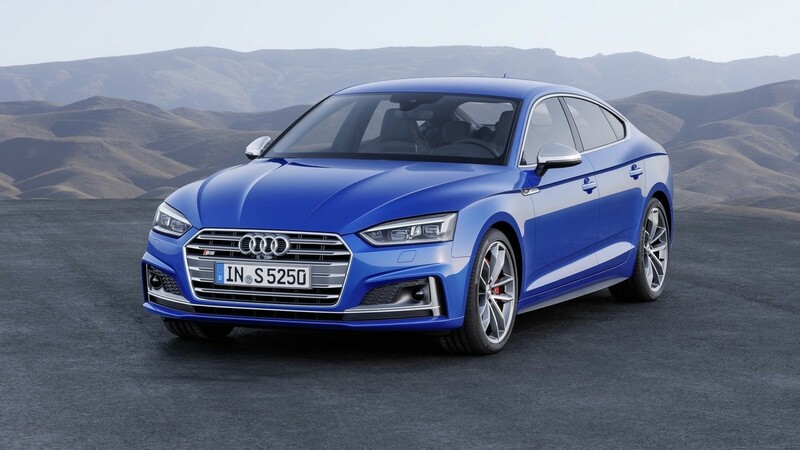 Audi says that the new A5 Sportback will feature high levels of interior comfort with the latest infotainment features as well revised suspension and engines, while also offering the latest driver assistance systems. 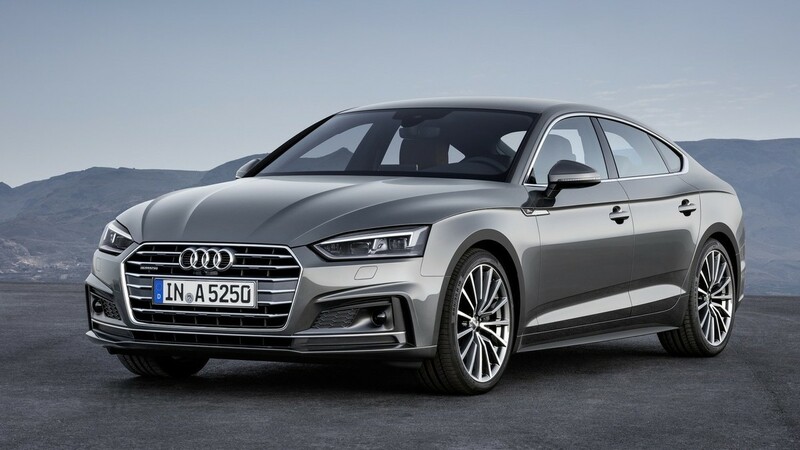 The Ingolstadt-based brand will also showcase the new A5 Sportback g-tron, fitted with a 125 kW 2.0-litre TFSI engine that can be fuelled with Audi e-gas, natural gas or standard petrol. 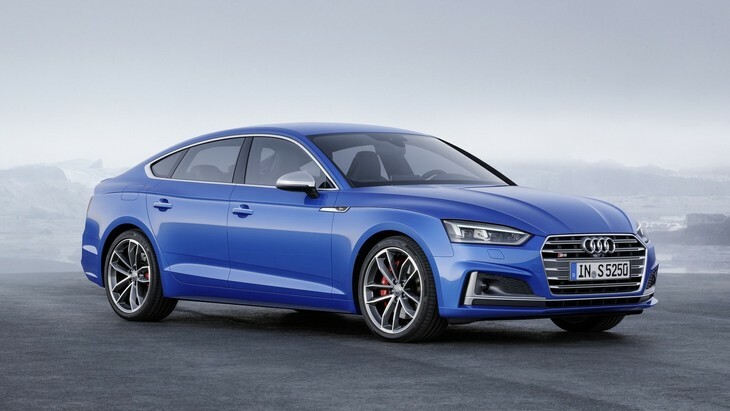 As for the new S5 Sportback, a new turbocharged 3.0-litre V6 with 264 kW and 500 Nm of torque will power the model, representing a power increase of 15 kW compared with the outgoing S5 Sportback. 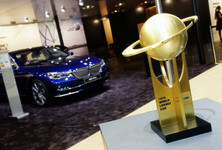 The sprint from 0-100 kph will take a claimed 4.7 seconds before reaching a limited top speed of 250 kph. 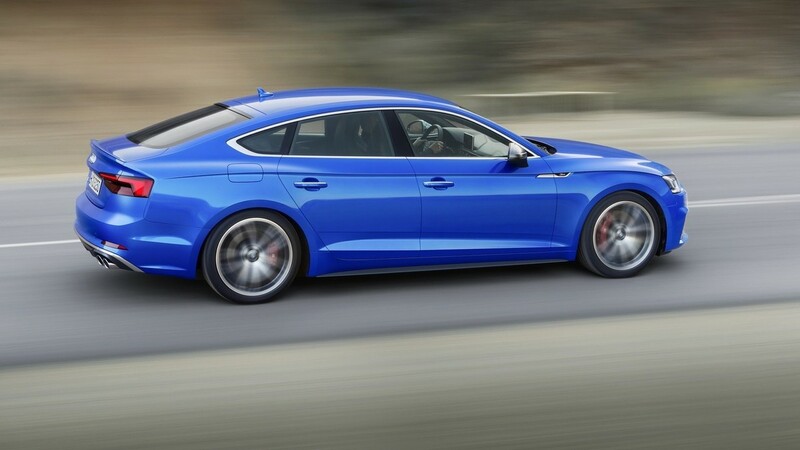 The Audi A5 Sportback will offer the choice of 2 TFSI engines and 3 TDI engines with power outputs ranging between 140 kW and 210 kW. Audi says fuel consumption has been reduced by an average of 22%, while power output has increased by about 17% compared with the previous model. In terms of transmissions, a 6-speed manual, 7-speed S tronic dual clutch and 8-speed tiptronic transmission will be on offer. 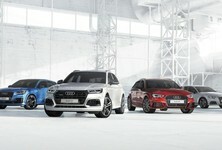 Only two versions will feature quattro all-wheel drive and front-wheel drive will be standard on all other versions. 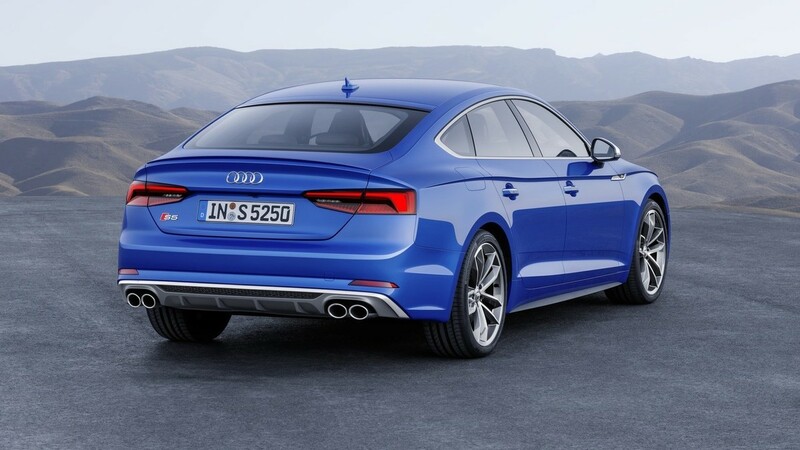 The Audi A5 Sportback is lighter and more fuel efficient than the model it replaces. 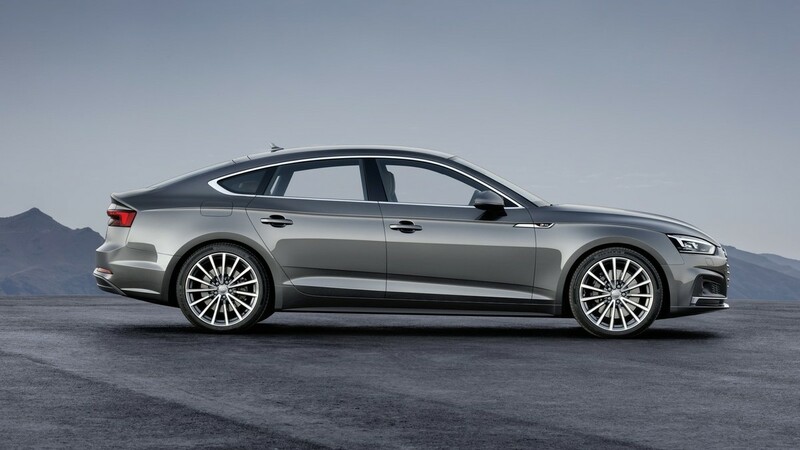 The new A5 Sportback features a stretched wheelbase, short overhangs and a long wraparound bonnet with a power dome. 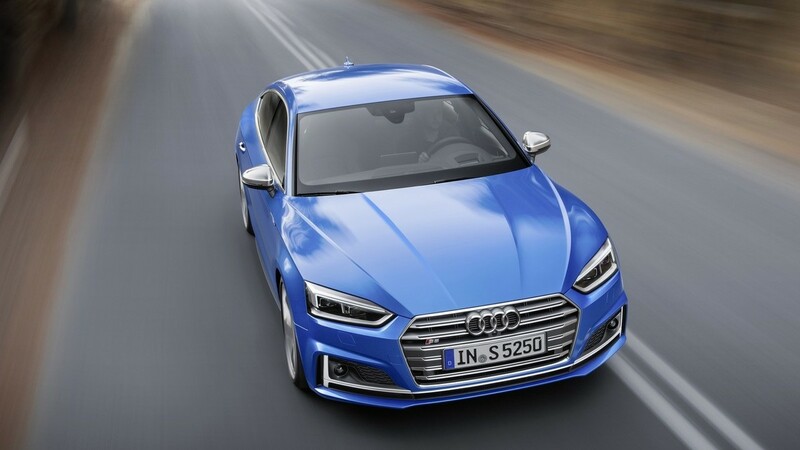 The single-frame grille on the A5 Sportback is flatter and wider compared with the outgoing model and the wave-pattern shoulder line is more accentuated than before. 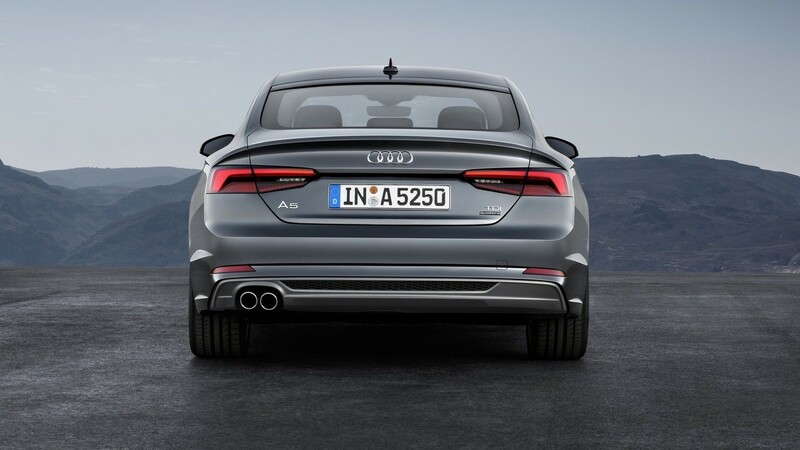 The A5 Sportback features flared wheel arches and the rear luggage compartment has been stretched and the tailgate is finished off with a spoiler. The suspension has also been revised and the front axle now features a redesigned five-link suspension while a five-link construction replaces the previous trapezoidal-link rear suspension. Adaptive dampers and dynamic steering will be available as an option. Interior dimensions of the new A5 Sportback have grown in length by some 17 mm while front (driver and passenger) shoulder room has been increased by 11 mm. 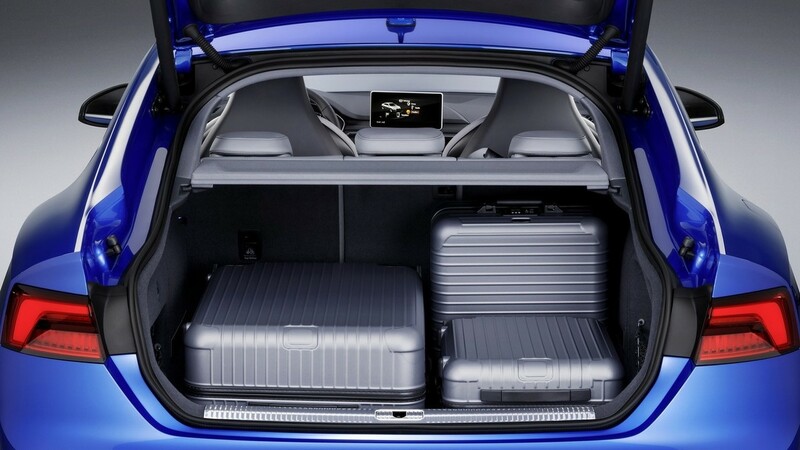 Rear passengers will also benefit from more space with a 24 mm increase in rear knee room. 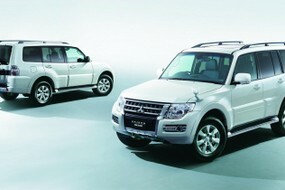 A total of 480 litres of boot space will be on offer. The interior will feature a high-quality fit and finish while optional ambient lighting will give buyers the choice of 30 colours. Audi’s Virtual Cockpit with a high-resolution 12.3-inch TFT monitor will be available as an option. Analogue instrument dials are fitted as standard. The interior of the new A5 Sportback is well-equipped with infotainment and driver assistance features. In terms of infotainment, Audi offers optional MMI navigation plus (with MMI touch) in conjunction with a 8.3-inch monitor. A Bang & Olufsen Sound System with 3D sound, 19 speakers and a 755W amplifier is also available. What's more, rear passengers can make use of an Audi tablet to control entertainment functions and this device can be used both inside and outside the vehicle. 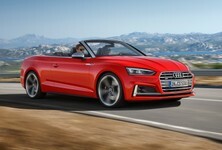 The new A5 Sportback will be well endowed with driver assistance systems. Features such as the adaptive cruise control Stop&Go system with traffic jam assist will make driving in traffic easier by taking care of braking and acceleration at speeds up to 65 kph. A predicative efficiency assistant will also assist drivers to achieve better fuel consumption by using GPS information to provide specific driving advice. Collision avoidance assist will intervene if an obstacle in the road needs to be avoided to prevent an accident. The system uses the front camera, ACC and radar sensors to compute a suggested driving line for the driver to avoid a collision. Other useful assistance systems will include turn assist, park assist, rear cross-traffic assist, exit warning, traffic sign recognition, active lane assist and side assist. The new Audi A5 Sportback and S5 Sportback will go on sale in Europe early in 2017 and you can expect them in South Africa later in 2017. More details will be revealed at a later stage. 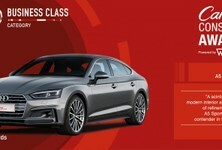 Want to buy an Audi A5?